SDAI is pleased to present “Extra-Ordinary Collusion”, an exhibition with twenty-three artist and scientist collaborations, curated by Chi Essary. 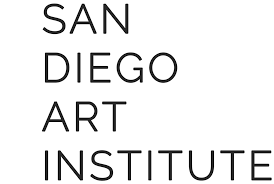 The opening reception will take place at the San Diego Art Institute, 1439 El Prado, on Saturday, May 20 from 6pm-8pm. The exhibition will run though will run through July 2. The popular misconception of San Diego as a sleepy beach town ignores the vibrant artist community and undermines the reality of San Diego’s cultural potential. San Diego is not only known as one of the top three biotech capitals in the world, thanks to the presence of research centers like the Salk, Scripps, and the Stanford Consortium, but it is uniquely situated next to the creative hotbed that is Tijuana. Extra-Ordinary Collusion celebrates this rich cultural heritage by fostering innovative exchange between two of San Diego’s great cultural strengths—our thriving scientific and artistic communities. For this exhibition artists were paired with scientists from the Salk Institute and invited to tour the scientists’ labs and learn about their state-of-the-art research. Using this visit as the impetus for the exhibition, artists created new work based on their conversations and interactions with the scientists. 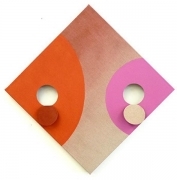 The artists in Extra-Ordinary Collusion come from various disciplines including painting, sculpture, installation, new media, and conceptual art.